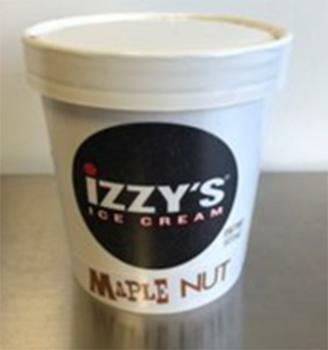 Izzy’s Ice Cream is recalling a limited amount of its Maple Nut Ice Cream pints. The product may contain peanut residue, an allergen not declared on the label. Consumers with question may contact Jeff Sommers at (651) 341-7709 or Shannon Leach at (612) 554-5196, or by email at shannon@izzysicecream.com. Thank you for your help in maintaining our commitment to consumer safety. This recall is being made with the knowledge of the Food and Drug Administration.